A modern garden building is so much more than a shed or summerhouse. It's easy to create a stunning venue for entertaining, working or simply enjoying being outdoors (even when it rains). 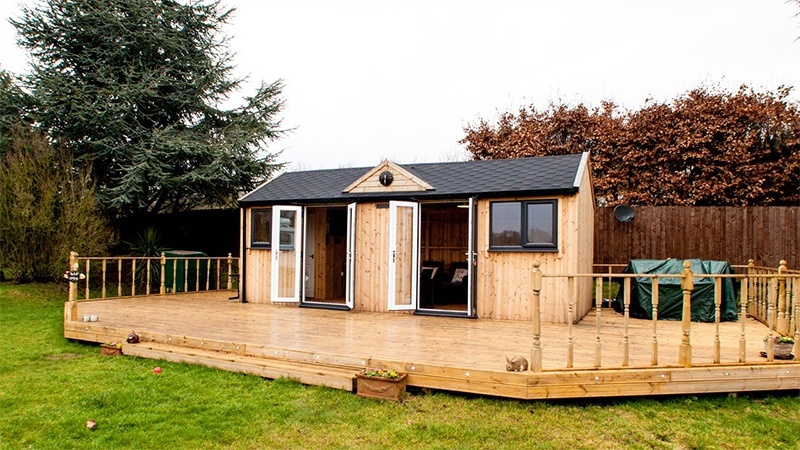 Garden buildings can be as tasteful as any other part of your home. The decoration of your garden building is up to you. You might leave the natural wood of the structure exposed, consider a finish just like the plaster and paintwork from indoors or combine the two elements with cladding. Of course, the colour scheme is important too - take inspiration from outdoor planting to create soothing continuity, or choose contrasting tones to make foliage pop. 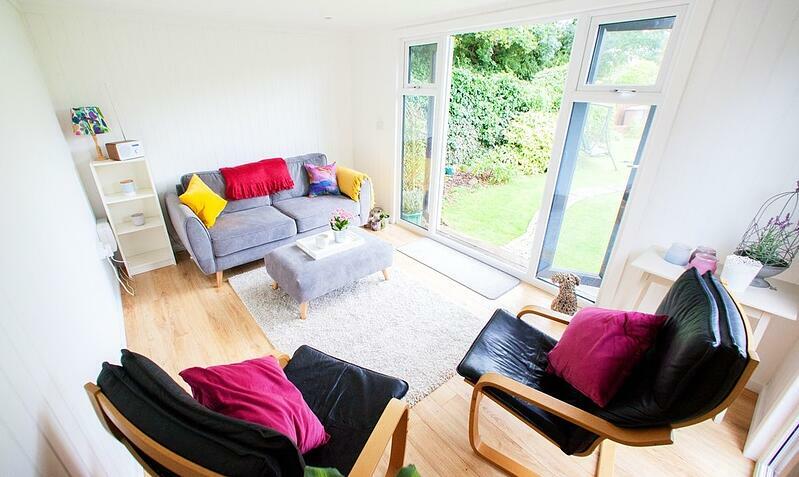 Alternatively, classic white walls brilliantly highlight your garden building's timber. 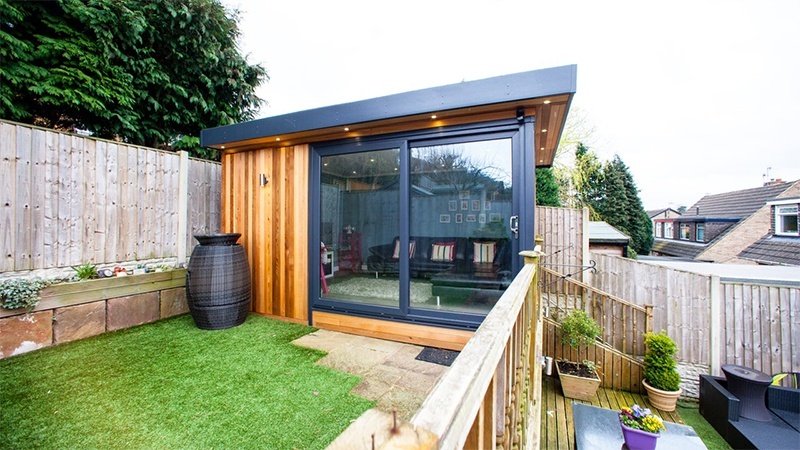 Garden buildings present a wonderful opportunity to use furnishings with a different flavour to what you might find indoors. This might mean playing up the 'cabin' theme. Bring in cut logs for chairs and stools; stone and leather, offset with luxurious textiles can create an alpine atmosphere. Those looking for a sharper, more contemporary look might think about glass, steel and cast iron. These reflective and dramatic materials bring a sense of space to a compact garden building. For some, spotlights may be the obvious choice, but don't miss the chance to enjoy a stunning unusual light fitting; especially one that might not suit what you have inside. A brass or coloured light shade over a low pendant could be the perfect statement if you have a table or sitting arrangement in the centre of your room. An oversized Anglepoise-style lamp would make an unusual accessory in a garden office. If you prefer a rustic feel why not choose an iron or wooden chandelier? 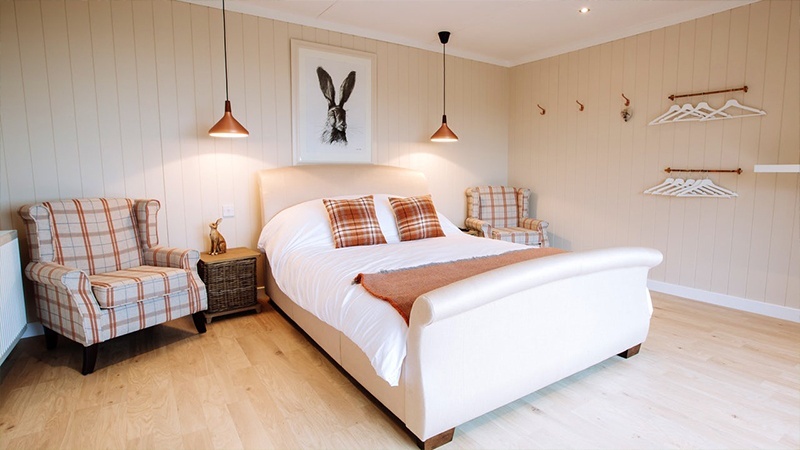 To soften a modern room or bring a whimsical touch to your cabin, fairy lights are a great choice. Don't forget the 'garden' part of your garden building. The setting of your new outdoor room is as important as the interior. Lead guests and clients to the centrepiece of your garden with steps or a deck, or tuck away your secret hideout behind existing trees. For those seeking a more subtle effect without the luxury of established shrubs, tall grass can make elegant screens. A tunnel of rose-trailed arches would make a uniquely romantic entrance, or line the sides of the path with lavender to create a fragrant walkway. 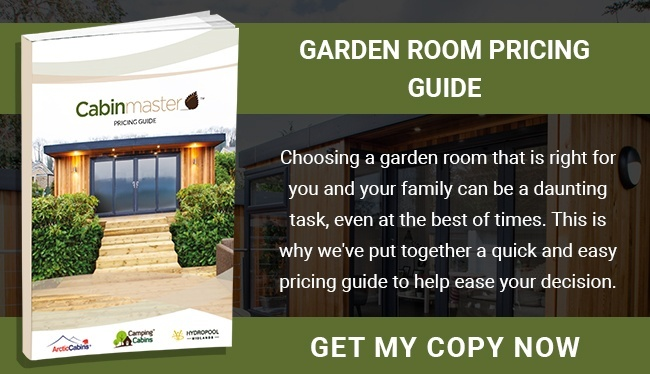 The flooring options in a garden building are almost limitless, from easy-to-clean melamine or laminate to carpet or even artificial grass. Pale, absorbent floors may not be the best choice when the family, guests and clients make their way in from outdoors. Low-key colours and textures can be brought to life with the clever use of rugs and skins. If you have a wood-burner in your garden building, a sheepskin hearthrug provides a classic touch. Afghan-style rugs make great luxe accents against timber floors. 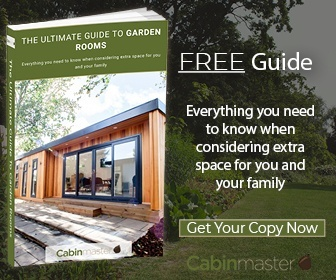 Whatever your needs or desires, Cabin Master can help you find the best choice of building for your garden. 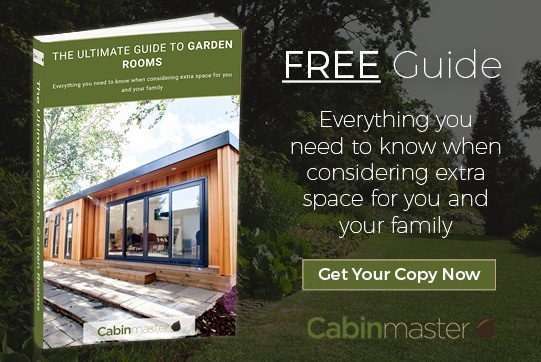 Call now on 01159 32 8888 for a free consultation, or browse our gallery to be inspired by Cabin Master's past projects.